28 U.S.C. § 1610 (g)(3): Exceptions to the immunity from attachment or execution: "(3) Third-party joint property holders. - Nothing in this subsection shall be construed to supersede the authority of a court to prevent appropriately the impairment of an interest held by a person who is not liable in the action giving rise to a judgment in property subject to attachment in aid of execution, or execution, upon such judgment." Embedded below is the full decision of the United States Court of Appeals for the District of Columbia Circuit, August 2, 2016, which affirmed the judgment of the U.S. District Court that the ccTLDs of Iran, Syria, and North Korea are unattachable under District of Columbia (D.C.) law. 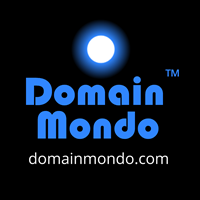 While the Appellants have options to seek review en banc by the Court of Appeals, and even review by the U.S. Supreme Court, our analysis and opinion is that this is a well-reasoned decision that removes the "wild card" referenced in the Domain Mondo News Review and Litigation Report, July 31, 2016.